The world’s first multifunctional battery operated shower head by Ecocamel, ideal for enhanced in shower cleansing, massage and sensitive skin. This is quite a mad device, I have never seen anything like it before. 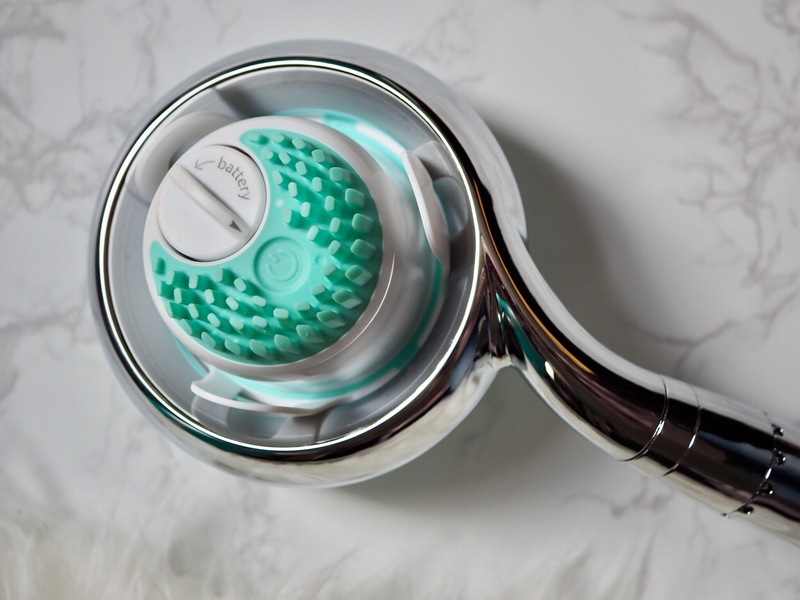 The Orb Spa is a shower head that comes with a built in water softening device and infuses the water with air bubbles to reduce the amount of water you use in your shower. It also has a removable massage device, pretty swanky huh? It’s a crazy device. It has never occurred to me that I could even get a different shower head, let alone a fancy pants one with different functions. Head to the OrbSpa/Ecocamel site for more info and videos. The packaging is a sturdy and rather fancy looking cardboard tube. For some reason I wasn’t mega excited about receiving a shower head, but when I opened the box I think I said out loud “Oh my lord, look at that”. The Orb Spa Shower head is bigger than a normal shower head, the head is bigger and the neck longer. This you would expect, because there’s technology in it. It doesn’t look out of place in the shower though, it looks pretty cool. The jets are more energetic and fizzy than that of a normal shower head. Even though it uses 40% less water, there’s no loss of pressure. It’s difficult for me to tell how much it softens the water, I live in quite a soft water area anyway. I’m sure Ecocamel have done all the appropriate tests before claiming it does. This is a fantastic feature, if you have eczema or have children with eczema, this could be a godsend. 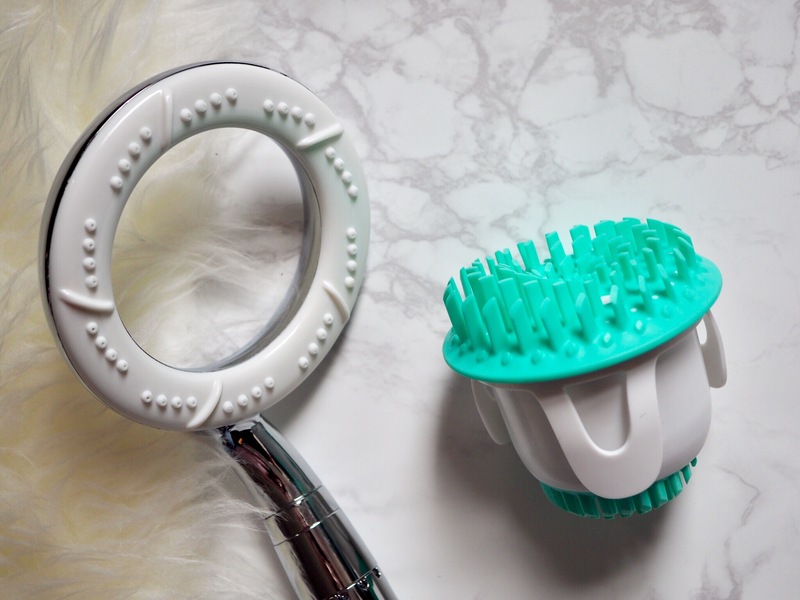 The Orb Spa shower head has a removable vibrating hand held unit that can be detached from the shower head when the water is still running. By the look of the video you can totally massage your back with it still on the head, I didn’t do that because the way my shower is, water would have gone everywhere. There are three power settings to the Vibra unit. One for deep massage, one for cleansing and the lowest setting for. The unit has two sides with different sized silicone projections for different areas. It fits nicely in the palm. I enjoyed using it as a facial massager/cleanser, this is something that I don’t have time for every shower but it’s nice for an extra relaxing cleanse. You could totally remove it from the shower entirely if you want to take your massage elsewhere. Which sort of brings me to my next point. So, okay, how do I say this? You would have to be pretty naive for this not to occur to you. It’s a vibrating handheld unit that you use in the shower, when you’re naked. It could be, wink wink, a lot of fun, if you catch my drift. I don’t think Ecocamel had this sort of function in mind when they designed the Orb Spa, I’m sure they were innocently concerned about people’s aching shoulders. But you know, if you were feeling bored I bet the Vibra unit could really liven up a dull shower. 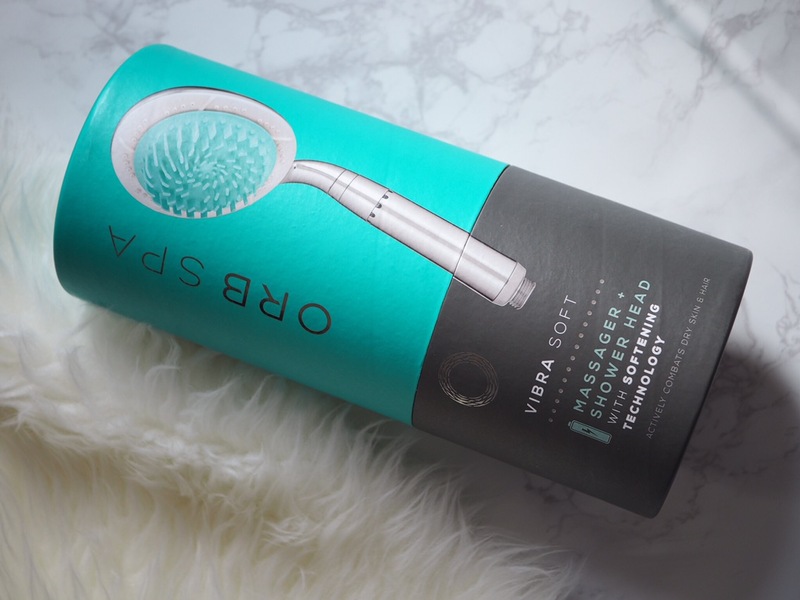 Orb Spa Soft Shower Head- Who should buy it? If you live in a hard water area you’ll know that the calcium in the water you bathe in and clean with can cause a few problems. 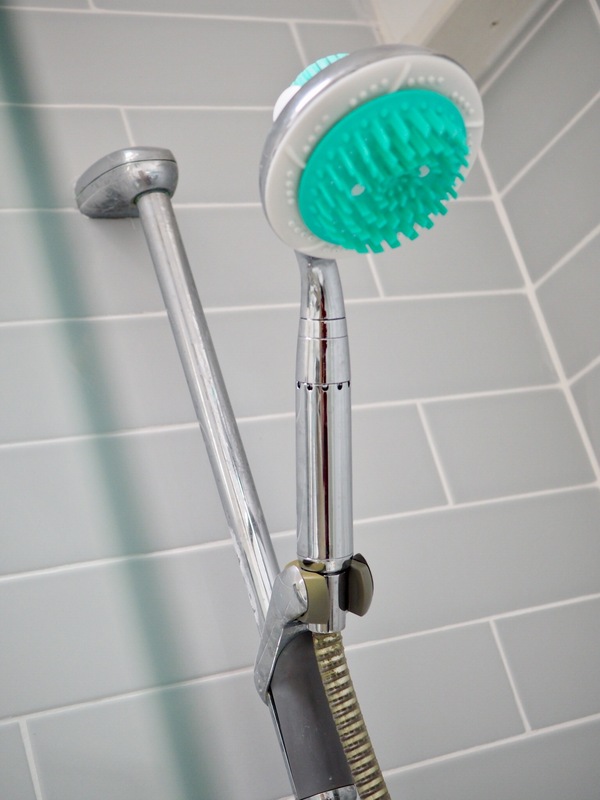 Limescale around the shower can be an unsightly pain to clean off. Hard water can really change the texture of the hair and irritate sensitive skin. For those in hard water areas and especially Eczema sufferers the Orb Spa could be a real boon. If you are conscious of the environment this will appeal to you. 40% less water means less power goes into heating that water, so it saves money and you’ll be 40% less guilty about the planet. Ecocamel has sold the Orb Spa to hotel chains and they’ve made their money back on their purchase in 9 months, I can see this being a real plus point. People with injuries or ailments that would benefit from regular massage would find the vibration feature a plus. And also ladies who enjoy a pleasant shower experience (my eyebrows are awaggling at this point). The Orb Spa Soft shower head is £129 and available from Ecocamel.com. They have a 90 day risk free trial policy so you can test it out and return if you don’t get on with it.